Every style evokes different emotions in me, and different bodily awareness or focus. Something folkloric makes me joyful and my heart opens, I feel expansive and powerful dancing Raks Sharki, I melt and feel my core, my femaleness when dancing Baladi. I don’t have a favourite style - rather a favourite way to work or choreograph which involves diving deep into the music, picking its rhythms, instruments, melodies apart from each other - playing with time, space, form to then bring everything back to one homogeneous whole. More than anything I love to combine elements from contemporary, jazz or ballet with oriental moves. Nothing stays the same, its always evolving and why not? Dance tip: Start from the feet up! When learning a choreography, think about and learn the feet patterns - right or left? where is your weight when standing on the spot? plus room direction and tempo first. From this you will have a lot of security, your dance will be more musical, it will flow. Only when you know what your feet are doing should you add hips, arms, where to look etc. Feel more with your feet! Dance barefoot and connect to the floor. Next time you perform a flat figure 8 with the hips, feel how your weight transfers from ball of the foot to heel. Do a vertical 8 and ask yourself, ‘Is my weight on the balls of my feet, in the middle, on my heels?’ Where should my weight be so that I stay aligned and have good posture? 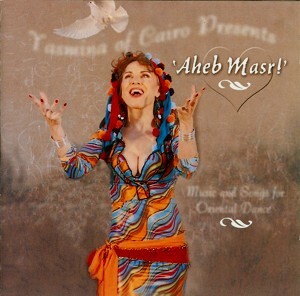 Music tip: I highly recommend to work with music produced in collaboration with dancers - such as the many wonderful cds from Yasmina of Cairo. Working with musicians and using a real orchestra, she has produced pieces that are specifically designed to dance to, containing a large variety of styles within one cd. Newer PostNEW ZEOT ONLINE SHOP!